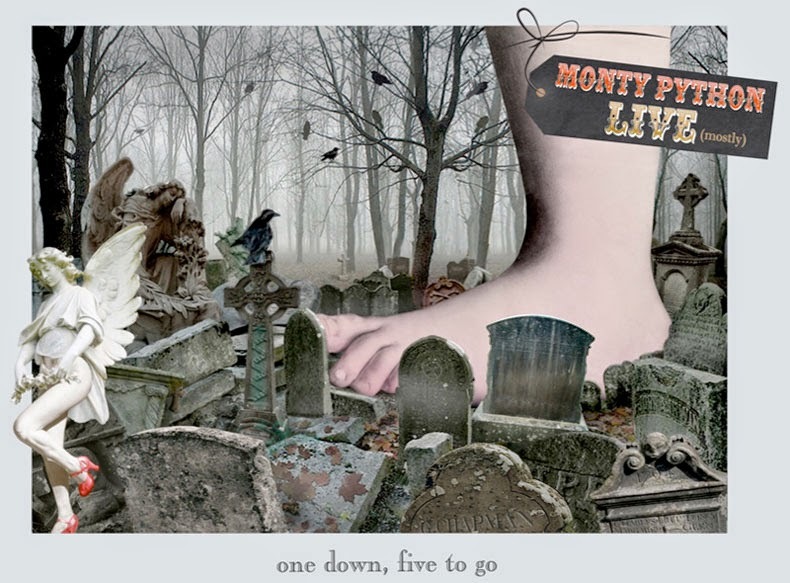 The surviving members of Monty Python will perform together in the UK for the first time in over 40 years, when they take to the stage at London's O2 Arena tomorrow night for the World Premiere of Monty Python Live (mostly): One Down, Five To Go. Following two weeks of intense rehearsals, comedy legends John Cleese, Terry Gilliam, Eric Idle, Terry Jones and Michael Palin will unveil their eagerly anticipated multi-million pound spectacular live production in the first of 10 shows, in front of an audience of over 14,000 people. This will be followed by a further nine shows on 2, 3, 4, 5, 15, 16, 18, 19, 20 July 2014. New tickets for all shows will go on-sale tomorrow morning. ‘The Last Night of the Pythons’ will be on 20 July 2014. This performance will almost certainly be the very last time Monty Python will ever perform on-stage together. To celebrate ‘The Last Night of the Pythons’, the performance will be broadcast live into 570 cinemas around the UK, and into 1800 cinemas around the world, distributed by Picturehouse Entertainment. UKTV Gold will also be broadcasting ‘The Last Night of The Pythons’ in the UK as part of a three hour Monty Python special. Eagle Rock Entertainment have secured the broadcast rights for global TV distribution. For the first time ever, fans can now become members of an official Monty Python fan club – The Monty Python SPAM Club, proudly touted as ‘what may be the worst run fan club in the world’. Fans can sign up at www.pythonspamclub.com and send a message on the site’s virtual SPAMVELOPE for a chance of receiving a reply from the Pythons themselves. Monty Python rightfully hold a place amongst the world’s finest ever comedians, influencing a generation and revolutionising comedy on their way to greatness. This reunion promises to be the biggest live event of 2014.